The book is organised as a catalogue of "ship coins" according to the popular KM-numbering system. Coins that have a common design are grouped under separate headings. Included are both circulating coins and collector oriented commemoratives. The coin images represent the many different ways in which the ships are depicted. Volume II includes more than six hundred narratives, and follows on from the publication of Volume I, Europe, 1800-2005 ( 2007), acclaimed as a book that should be owned or at least read by every collector of world ship coins. A third volume, presenting ship coins issued by nations in Africa and Oceania, is planned for publication in 2012. 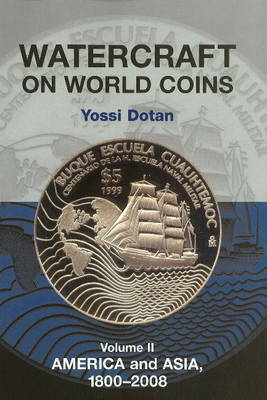 Yossi Dotan is a numisnautical researcher, a recognised expert in modern coins which depict watercraft. 'Ship coins' have fascinated him for over thirty years. Extensive research has taken him to libraries on three continents. He lectures on the subject and has published articles in numismatic periodicals in Canada, Germany and the United States.